Nyquil is an over-the-counter medicine that comes in tablet and liquid form and is used to alleviate cold and flu symptoms; aches and pains, fever, headache, runny nose, sneezing, and congestion. Nyquil is comprised of an analgesic, a cough suppressant, and an antihistamine. Nyquil withdrawal can be painful and requires the assistance of trained professionals in order to keep it safe and as affective as possible. When taken correctly, Nyquil is handy for alleviating the annoying and painful symptoms of colds and the flu. The medication can make people drowsy, and help them fall asleep when they’re sick and uncomfortable. Nyquil can be abused, and in some cases, can become addictive, habit-forming, and even dangerous. The active ingredient in Nyquil, dextromethorphan, can give people a high and induce buzz-like, euphoric feelings. On the street, the act of taking Nyquil to get high is called ‘robotripping.’ People looking for this high will abuse other cough and cold medicines, like Robitussin and medications which contain dextromethorphan. Long-term abuse of Nyquil can also lead to liver and kidney damage, and memory problems. People who robotrip can get into car accidents or experience other injuries from impaired motor function. In rare cases, brain damage can occur when oxygen is unable to get to the brain during a powerful robotrip. Despite the dangers, some people will abuse cough medicines and become addicted to the high they produce. Trying to quit on one’s own can be dangerous and painful, but there is help for people with Nyquil addiction from medically supervised detox centers and inpatient rehab facilities. What is the timeline for Nyquil withdrawal? Nyquil withdrawal symptoms usually start within a few hours of last use and typically peak within three days after cessation. Physical withdrawal symptoms can last for several weeks, but emotional symptoms can linger for months if someone doesn’t get help. Without assistance from doctors and medical professionals, people trying to recover from Nyquil addiction can develop long-lasting depression and anxiety. What physical symptoms arise during Nyquil withdrawal? The physical symptoms of Nyquil withdrawal can be unpleasant, painful, and potentially dangerous. What are the psychological or emotional issues someone will experience during Nyquil withdrawal? What is the difference between going cold turkey versus a medically supervised detox for Nyquil addiction? It is potentially dangerous to stop taking Nyquil suddenly, or ‘cold-turkey.’ Sudden cessation can cause more intense withdrawal symptoms and make them last longer. Also, long-term abuse of Nyquil where someone goes cold-turkey increases the risk of seizures and depression. Sudden weight loss from stomach problems experienced during withdrawal is also common and can be dangerous if not treated. With medical detox, patients are under the care and supervision of trained doctors who can help them safely taper off from Nyquil. Doctors can also prescribe medications that can help alleviate some of the painful symptoms of withdrawal. What is safe to take during Nyquil withdrawal? Doctors can give patients in a detox center small, tapered-off doses of Nyquil to lessen the severity of withdrawal symptoms. It is also safe for patients to take something for stomach upset and pain. Also, doctors can prescribe short-term sleep aids for those who experience insomnia during withdrawal. If withdrawals lead to depression, patients can take antidepressants. What isn’t safe during withdrawal? It isn’t safe for someone to quit cold-turkey, nor is it safe for someone to self-medicate away painful withdrawal symptoms with alcohol or other drugs. With any drug detox, it isn’t safe for those in recovery to be left alone or in an environment where it is all too easy for them to fall back into old, destructive habits. People who attend detox and inpatient rehab have higher, lifelong sobriety success rates than those who don’t. What happens during the withdrawal process? In a medical detox facility, patients are first assessed for underlying physical and mental health problems and polydrug abuse. These findings will determine what kind of tapering-off schedule a doctor will order for the patient. During detox, patients are monitored for any troubling signs, like depression or the risk of seizure. Withdrawal symptoms are also safely and adequately medicated to lessen their severity. After a patient has completed the withdrawal and detox phase, they can begin a stay at an inpatient rehab center, where doctors, therapists, and social workers will work closely with them in a calm and structured environment. Patients can work through the issues that led them to drug addiction, and therapists can give them the tools necessary to live a drug-free life outside of the facility. How is Nyquil withdrawal different from other drugs in its class? Nyquil withdrawals and addiction are almost identical to other drugs in its class like Robitussin and other cough and cold medicines. People who’ve become dependent and addicted to these medicines need help from trained professionals so they can achieve lifelong sobriety. Quitting cold turkey and alone is potentially dangerous, and the rates of success are much lower than if someone were to seek help from a detox and inpatient rehab center. How are people affected differently during Nyquil withdrawal? There are many individual factors which can influence the withdrawal process. 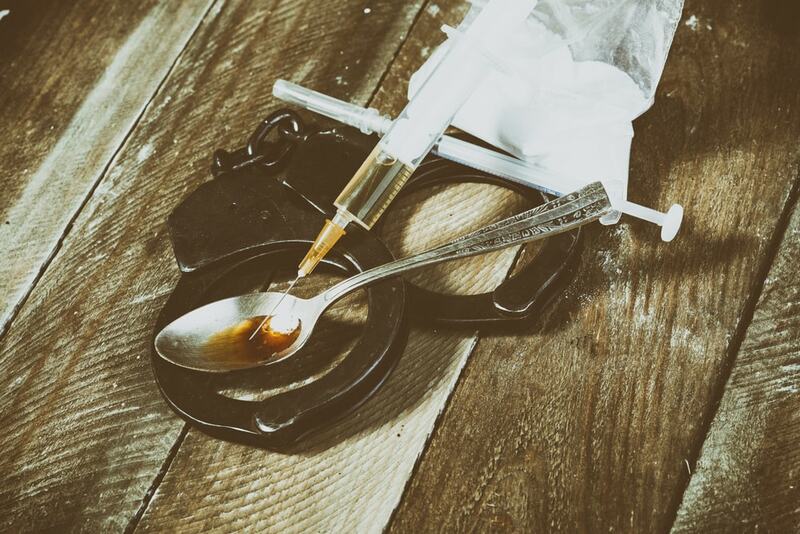 Despite the individual differences, anyone who wants to break their addiction can get help from a medical detox center and inpatient rehabilitation facility. Doctors and therapists are on-call 24/7 and treatment is tailor-made to the individual.